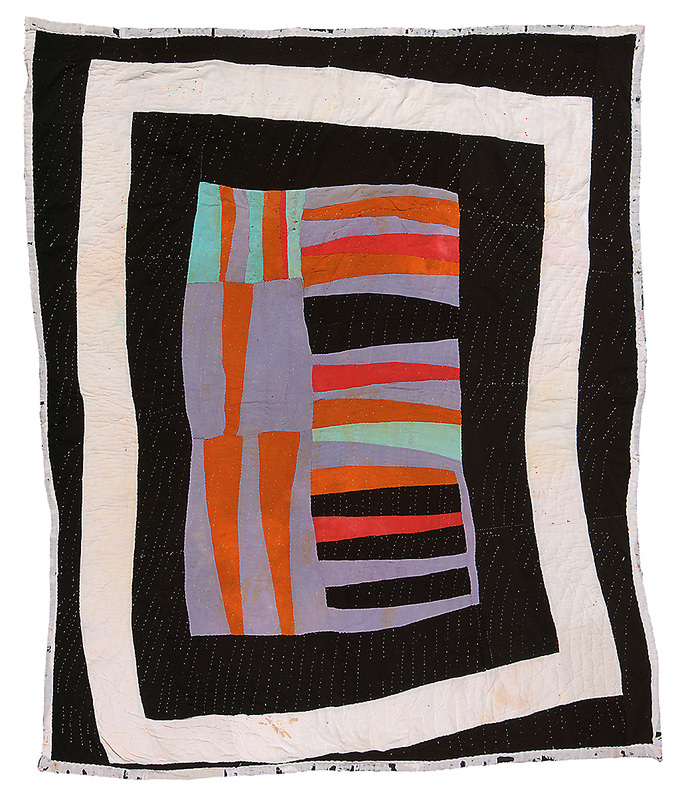 Loretta's quilts show the resistance, or reluctance, to make quilts the way anyone else would; she became a fine technician, but that rarely seems to be what she cares most about. In this work the she deliberately surrounds an area of six blocks with black and white frames whose irregularity reinforces the drama and energy of the piece. Loretta's quilts show the resistance, or reluctance, to make quilts the way anyone else would; she became a fine technician, but that rarely seems to be what she cares most about. In this work the she deliberately surrounds an area of six blocks with black and white frames whose irregularity reinforces the drama and energy of the piece. It is impossible to imagine that its author wanted a more regular or symmetrical outcome than what she achieves here—but, as with Annie Mae Young, it is dangerous to generalize about Loretta Pettway's intentions. 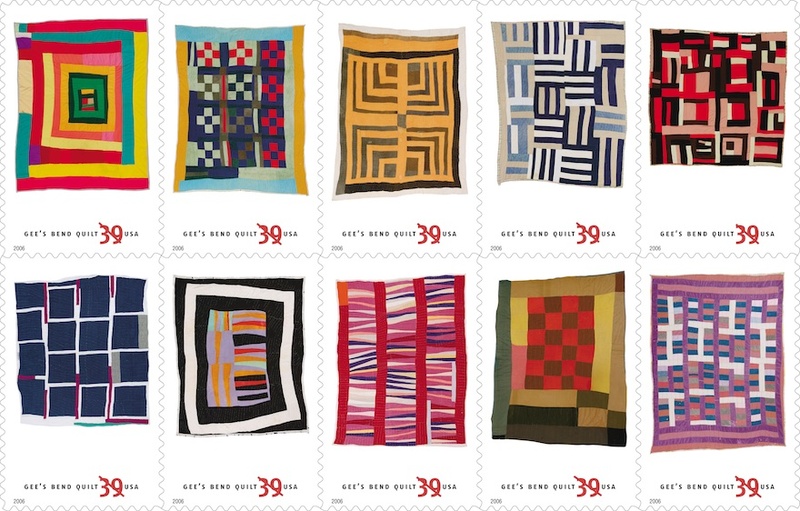 This is one of ten Gee's Bend quilts to appear on a U.S. postage stamp in 2006.